Learn the basics of chemistry with this periodic table lesson resource that will allow your kids to memorize the periodic table and have fun doing it! I received access to Memorize The Periodic Table for review purposes and was compensated for a sponsored post. This post may also contain affiliate links. All details are true and the opinions are mine. Mention chemistry and most people think of a complicated science far too advanced for the non-PhD to grasp. On very advanced levels, it is. However, if the basics of Chemistry are presented in a way that allows students to apply it to the their world, Chemistry becomes a much simpler, less scary study. Chemistry isn’t relegated to a laboratory filled with test tubes and smoking beakers. Chemistry is everywhere. Everything in the universe is made of the same 118 elements found on the periodic table. Learning these elements and becoming familiar with them can make learning chemistry less daunting. Think of the Periodic Table Of Elements as a method to organize the 118 elements. It is set up in a grid of rows and columns. Each horizontal row contains elements that have the same number of atomic orbitals. These are called “periods”, thus the name Periodic Table. The vertical columns are, also, organized. Each column is called a group. The elements in each group have the same number of electrons in the outer orbital, or valence electrons. As I mentioned before, sometimes the details of chemistry can be overwhelming. It’s best to start out basic. Once you learn what the purpose of the periodic table is, you can learn the elements that fit in the table. You can actually memorize the elements of the periodic table. Memorize the periodic table?? I must admit. I was skeptical that my kids could actually memorize the periodic table. Learn about it, yes. Memorize the whole thing, not so much. My thoughts wandered to rote memorization and dry drills that would cause my kids to roll on the floor in protest. Their poor little minds would forever be scarred with the aversion to all things chemistry. Memorizing off a list or chart is not fun for many people and that information can be hard to recall. My kids would need something a little more interactive and more fun. Where in the world would I find that?? I was introduced to the Memorize The Periodic online video program as an alternative to the boring memorization route. It looked interesting so I thought we’d give it a try. Memorize The Periodic Table uses the “Link and Story” method. This method has been shown to improve recall by between 200% and 700%. In the link and story method, the elements of the periodic table are used as prompts for humorous stories with entertaining graphics and illustrations. My kids (10 and 14) laughed their way through the videos and laughed even more when recalling the elements and the story prompts. The best part is – they actually memorized the periodic table! Well, not all of it. They are still working on it, but are over half way through in just 3 days! They even retained what the learned after several days between lesson day 2 and 3. I’ve heard that some people can use this program to learn the entire table in an evening. That’s great, but it just didn’t fit my kids’ learning styles or schedules. After the first lesson, my daughter told me that this reminded her of what we used to get her to learn her multiplication tables. The Times Tales DVD program uses stories to make the numbers come alive. This relational, story method appealed to her then and was what finally broke down the wall that kept her from learning. Memorize The Periodic Table is doing the same thing! It is great to have a homeschool resource that both kids can do together, enjoy, and look forward to each time. Even though the target age is high school, my 10 year old is learning right along side my 14 year old daughter with no problem! Now that your child has learned and is beginning to be comfortable with the Periodic Table of Elements, it’s time to reinforce what they have learned and build on that. Memorizing The Periodic table contains a visual guide so students can review without the video lesson. You can view it on your computer or electronic device, or you can print it out. To learn more about the elements themselves, check out this site that has short video lessons about each element. Learn details about the elemental atoms with the Atomidoodle game. Learn about the elements all around you with the free Everyday Elements printable. To learn the symbols for each element, Proton Don is a fun game with adjustable levels. These games teach the elemental symbols, atomic numbers, and correct place on the Periodic Table. You can create your own Periodic Table with DIY element cards. Connect these tiles to build the Periodic Table. I really want you to try this program. Enter the rafflecopter form below and one of you will win a subscription to Memorize The Periodic Table! The more we can connect story and song to memorization tasks for kids, the easier it will be to learn them. Looks like Memorize the Periodic Table is a great tool to do so! Thanks for the post! I love tools like this for memorizing!! I would enjoy learning this myself. Thanks for hosting! I have one complete science nerd and one who doesn’t care much for science, and I think this would help BOTH of them enjoy chemistry! Sounds wonderful! I have a couple of kids who love chemistry. This sounds great. We love learning this way!!!! We learned 1-12 last year but this would be great for the rest of the table. Thanks for the review and giveaway! Well, they haven’t attempted rote memorization. I don’t want to scare them. Doing a puzzle and exposure to elements via geology is as far as we have gotten so far. Interested in the game. Thanks for the chance. Perfect timing! I’m planning our chemistry studies and have been looking for some fun resources. This looks really great! My children are just starting Chemistry. This product would really get them excited to learn more! We have not yet begun a formal study of chemistry. I myself am intimidated with the idea of teaching it, so this curriculum resource looks like it would be a big help to us. Thank you for the review and offering it as a give-away. I think my children would love this program for the tables because it looks fun to do. Sometimes they have trouble memorizing the table this should help them. Thank you for the giveaway. This looks wonderful! My high school students are doing chemistry this year and this would be great to help them learn the periodic table. We have done a lot of earth and space science, but are now working on chemistry. This would be of great help for my three youngest, ages 8 to 12. I had not yet given much thought to learning the periodic table, so this resource looks like it’s done the good thinking for me! Thanks! My son loves chemistry but has a hard time memorizing things. This would be a fun way to help him remember. Thanks for this post! We are studying chemistry right now and sometimes it does get tedious. We tried the sample and enjoyed it very much. It would make a very fun challenge! I think all 4 of my homeschoolers would enjoy this! We are studying chemistry this year- this looks like a great tool and something similar to how I memorized in high school. I still remember a lot of the elements after all these years! My daughter is a very audiovisual learner, and I suspect my son is as well. This method looks perfect for their learning style and makes an overwhelming subject seem fun! We’ve only done a little bit of chemistry but my kids really enjoyed it. I would love any resource that helped them with the periodic table – it can be intimidating at first! No, my kids do not have fun with Chemistry. They have tried the free video samples of Memorize the Periodic Table and could not stop laughing. They still repeat them when we talk about an element that we heard on the video. I would love to see the rest of the videos. Thanks for the opportunity. We haven’t started chemistry yet, this looks like it’ll be so helpful when we do! My oldest is 7 and he has just started asking a lot about atoms and elements, so I think now is the time to begin introducing the period table. This looks like a fun and effective way to do that! We are starting Chemistry in January! This giveaway would be awesome! Thank you! make this font READABLE or… l memorialize you in a periodical! 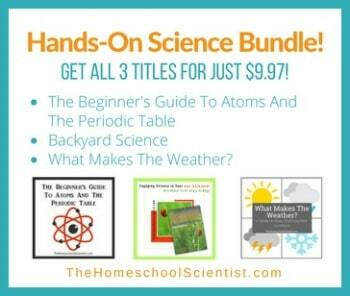 You are here: Home / Resources / A Periodic Table Lesson Kids Actually Enjoy!